Simplicity is no sign of truth. Eijkman’s motto, and the title of a lecture he gave late in his career. As stated in Alfred Jay Bollet, in Plagues & Poxes: The Rise and Fall of Epidemic Disease (1987), 77. 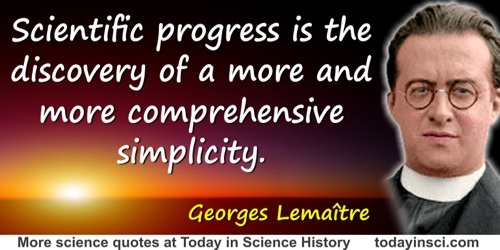 This contrasts with the much-quoted motto of Herman Boerhaave, “simplex sigillum veri” (simplicity is the sign of truth). 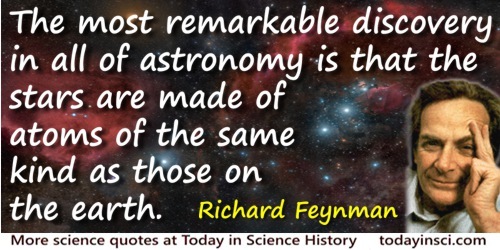 Ask a scientist a very profound question on his science, and he will be silent. Ask a religious person a very simple question on his religion, and he will be frenzied. Avoid complexities. Make everything as simple as possible. Besides it is an error to believe that rigour is the enemy of simplicity. On the contrary we find it confirmed by numerous examples that the rigorous method is at the same time the simpler and the more easily comprehended. The very effort for rigor forces us to find out simpler methods of proof. 'Mathematical Problems', Bulletin of the American Mathematical Society (Jul 1902), 8, 441. Chaos is the beginning, simplicity is the end. Letter (1950) to Ocy Tjeng Sit, as quoted in Maurits Cornelis Escher and ‎J.W. Vermeulen (ed. ), Escher on Escher: Exploring the Infinite (1989), which is requoted in Michele Emmer and ‎Doris Schattschneider, M.C. Escher’s Legacy: A Centennial Celebration (2007), 71. 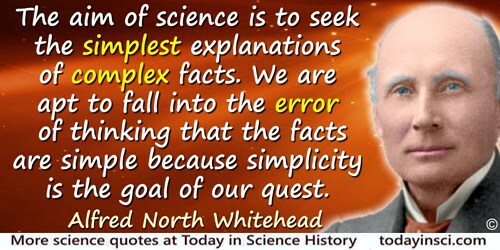 For every complex question there is a simple answer–and it's wrong. 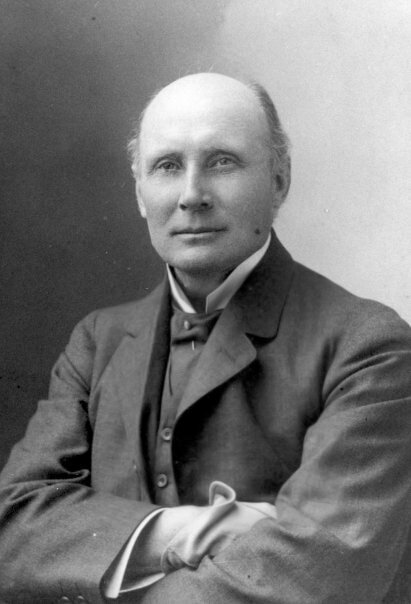 Although often seen attributed to H.L. Mencken, webmaster has not found found a primary source, and no authoritative quote collection containing it. If you have a primary source, please contact webmaster, who meanwhile lists this quote as only being author unknown. If the brain were so simple that we could understand it, we would be so simple we couldn't. Quoted by George E. Pugh, The Biological Origin of Human Values (1978), 154. In a footnote, the author writes that this quote comes from his own father, around 1938. The quote is also widely seen attributed to Lyall Watson (born 1939), for example, by Larry Chang in Wisdom for the Soul: Five Millennia of Prescriptions for Spiritual Healing (2006), 539. If your new theorem can be stated with great simplicity, then there will exist a pathological exception. In Isaac Newton and Andrew Motte (trans. ), The Mathematical Principles of Natural Philosophy (1803), Vol. 2, 160. 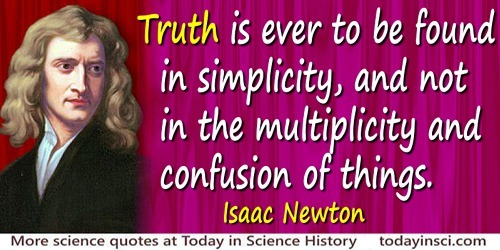 Newton's comment on his Rules of Reasoning Philosophy, Rule 1. 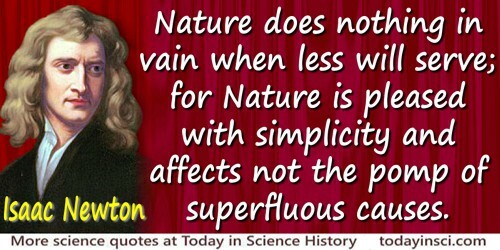 Newton’s reference to “Nature does nothing in vain” recalls the axiom from Aristotle, which may be seen as “Natura nihil agit frustra” in the Aristotle Quotes on this web site. Quoted in Richard R. Lineman, 'Two-Way Ticket to Paradise', book review of Thor Heyerdahl, Fatu-Hiva, in New York Times (29 Aug 1975), 58, col. 5. Radioimmunoassay (RIA) is simple in principle. 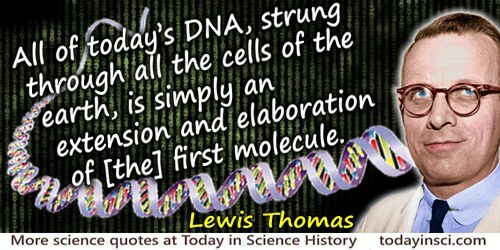 'Radioimmunoassay: A Probe for the Fine Structure of Biologic Systems', Nobel Lecture, 1977. 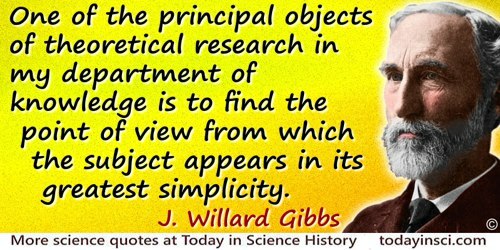 In Nobel Lectures: Physiology or Medicine 1971-1980 (1992), 450. The Pursuit of Simplicity (1980), 17. 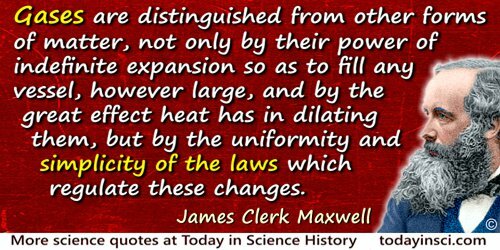 Science simply cannot adjudicate the issue of God’s possible superintendence of nature. In ‘Impeaching a Self-Appointed Judge’, Scientific American (Jul 1992), 119. 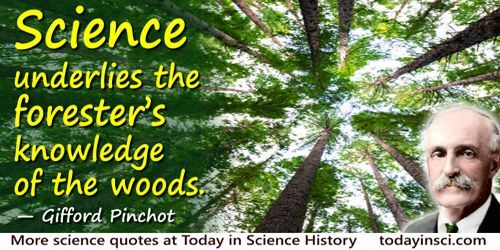 Cited in Gerald L. Schroeder The Science of God: The Convergence of Scientific and Biblical Wisdom (2009), 18 & 220. Sometimes one has got to say difficult things, but one ought to say them as simply as one knows how. In A Mathematician's Apology (1940, 2012), 47. Strive for design simplicity. You never have to fix anything you leave out. In J.S. "Torch" Lewis, 'Lear the Legend', Aviation Week & Space Technology (2 Jul 2001), 155 Supplement, No 1, 116. In Catastrophe Theory: selected papers, 1972-1977 (1977). 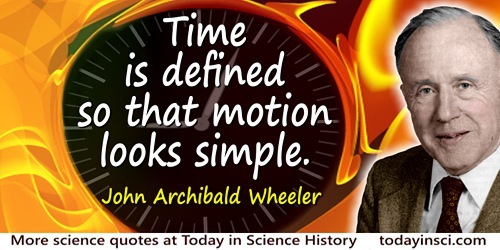 Time is defined so that motion looks simple. 'Fragments from a Treatise on Revelation'. In Frank E. Manuel, The Religion of Isaac Newton (1974), 120. Told to Ernst Straus. As quoted in Gerald Holton, The Scientific Imagination: Case Studies (1978), xii.